Expectation was high for this production of Rain Man by The Classic Screen to Stage Theatre Company, as Rain Man the film scooped many prestige awards and became a classic in the late 1980’s. Originally the lead characters were played by Tom Cruise and Dustin Hoffman so the bar had also been set high for the actors taking on the key roles of Charlie and Raymond Babbitt. Monday’s performance saw a change to the advertised Paul Nicholls and Chris Fountain, as the brothers brought together through the death of their father, and Adam Liley and Joe Sellman Leava delivered the quality to this performance of Rain Man that was anticipated. The story opens with self-absorbed, money seeking Charlie (Joe Sellman Leava) a car salesman, desperately trying to save a deal to prevent the bankruptcy of his business, during which his girlfriend, Susan (Elizabeth Carter) takes a call informing Charlie of the death of his estranged father. Realising the family fortune could save his business and his neck, Charlie is shocked to learn it has been left to an unknown beneficiary. A little detective work and an appointment with a Dr Bruener (Dominic Taylor), introduces Raymond (Adam Liley) Charlie’s unknown older brother to the story. Raymond, an autistic savant, has been institutionalised in a care facility for the majority of his life. The portrayal of this character was played superbly by Adam Liley, highlighting the routines and mannerisms of Raymond. There are outbursts and silences depicting the difficulties Raymond has living and communicating in the modern world as true today as when the film was originally shown. There is bad language from the start of this play and there are some moments when Charlie’s behaviour and language towards Raymond could be taken as abusive. This, alongside the emotional emptiness in Charlie’s relationship with Susan, reflects the lack of empathy and compassion in Charlie and becomes the focal point in the emotional development of the play providing gentle and touching scenes between the characters. The small cast express the story and the evolving emotions of the characters well, the setting is uncomplicated and uses minimal props focusing on the changing relationship between the brothers and how they develop a deeper understanding of their own family’s connection and history. 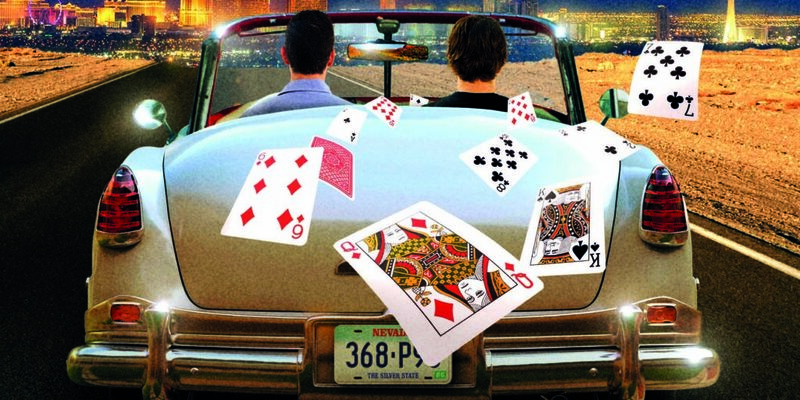 Rain Man is currently playing at The Hawth Theatre, Crawley, until Saturday 16 February.